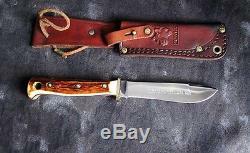 Vintage Puma Hunters Pal model 6397 hunting knife with a 4 blade, about 8 long. 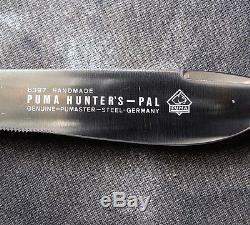 Blade marked: Puma Hunters Pal, Handmade Genuine Pumaster Steel, Germany, 6397. 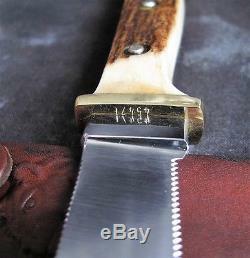 Date code on guard is 45471, which is 1974. 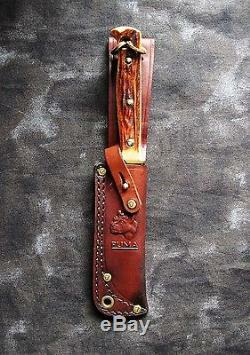 Top of blade has thumb notches. 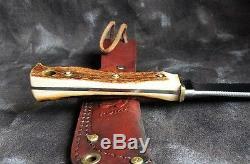 Genuine matched stag handles with lined thong hole. 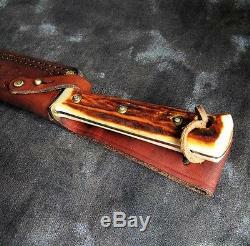 In original leather sheath marked Puma on front and Made in Germany in back. 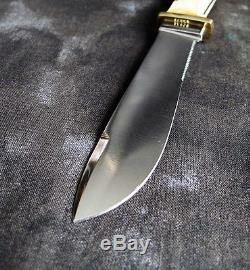 Knife is in excellent condition, appears unused. Beautiful stag, no cracks or chips. 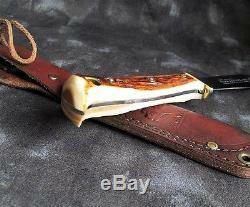 We include all the information we have about this item and if its not shown in the photos, then its not included. 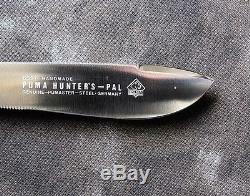 The item "Puma Hunters Pal 6397 Hunting Knife withStag, 1974 Germany" is in sale since Saturday, March 26, 2016. 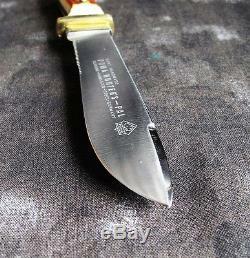 This item is in the category "Collectibles\Knives, Swords & Blades\Fixed Blade Knives\Vintage (Pre-1970)\Factory Manufactured"." and is located in Denver, Colorado.